We had a great weekend! Jazzy finished her CD obedience title with a second place on Saturday and a first place on Sunday. Jazzy had great scores and on Sunday it was even good enough to have us in the lead for High in Trial for a couple of hours – until a dog in Utility B turned in a blazing performance and knocked us out by a few points. Oh well! She did enjoy her special hamburger! 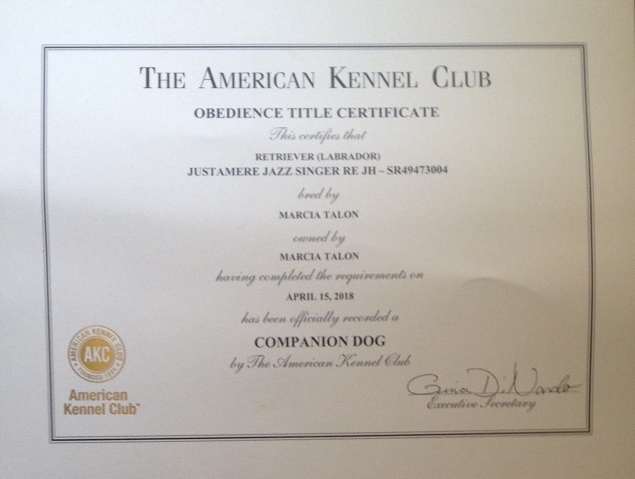 The CD, or ‘Companion Dog’, obedience title involves a lot of walking with the dog at heel, both on and off-leash. There is also a recall where the dog has to stay sitting as the handler walks across the ring and calls the dog and a stand for examination where the dog must stand still, off-leash, and not move while the judge touches the dog. And finally the long sit and long down exercises where all the dogs line up along one side of the ring and must stay put as the handler walks across the ring. This is done off-leash, first sitting for one minute and then staying down for three minutes. 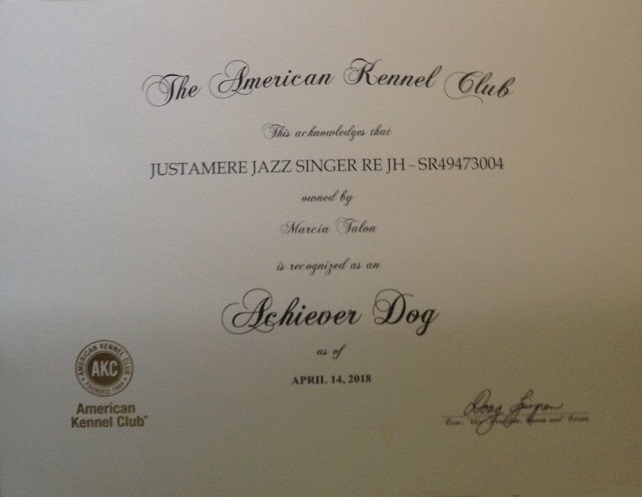 Jazzy earned titles in obedience, Rally and hunt tests. Although a little belated, I want to give Chip a pat on the head via the Internet for completing 12 titles – obedience, rally, tracking and field. He’s also working on some basic agility – I just need to work on keeping up with him.